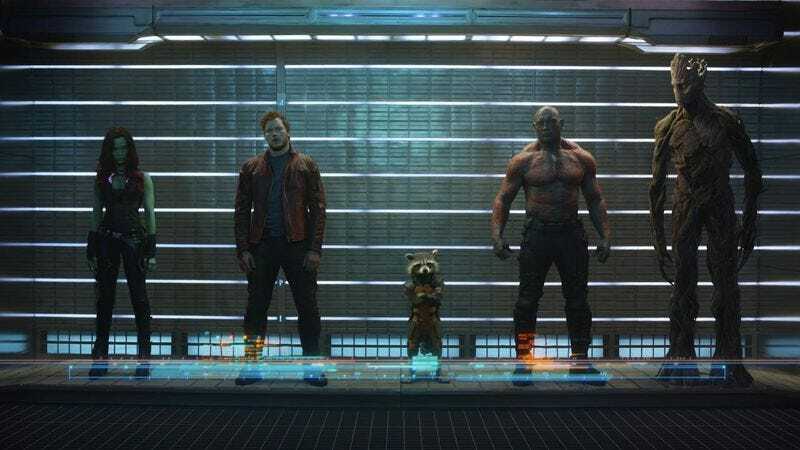 If your first thought upon viewing the Guardians Of The Galaxy trailer was “wait, why is Chris Pratt hanging out with a raccoon?,” then this post is for you. As the Marvel movies dive deeper and deeper into a seemingly bottomless chasm of nerdery, it gets difficult for the casual viewer to tell their Light Elves Of Alfheim from their Dark Elves Of Svartalfheim. Enter Reddit user theboy2themoon, who has been tearing up the r/movies subreddit with an informative series of guides that bridge the gap between Marvel comics and Marvel movies. Dubbed “From Comics To Cinema,” each guide breaks down the main players and backstory in a Marvel film, along with pictures of the original comics characters and their movie counterparts. The guides even suggest comics to read before seeing the movie, which Reddit user thinkinggrenades helpfully suggests can be read online by signing up for Marvel’s Marvel Unlimited service. So far “From Comics To Cinema” has covered Guardians Of The Galaxy, Captain America: The Winter Soldier, and Thor: The Dark World, and theboy2themoon promises to release one guide a week as long as Reddit demands it. Next up? A series of X-Men guides leading up to X-Men: Days of Future Past.